Japan has become a semi-regular pilgrimage for me (with the wife in tow), for the past few vacations we get to take out of the country. It’s my first time to visit Osaka and Kyoto, but took some lessons from our frequent past travels to Tokyo. 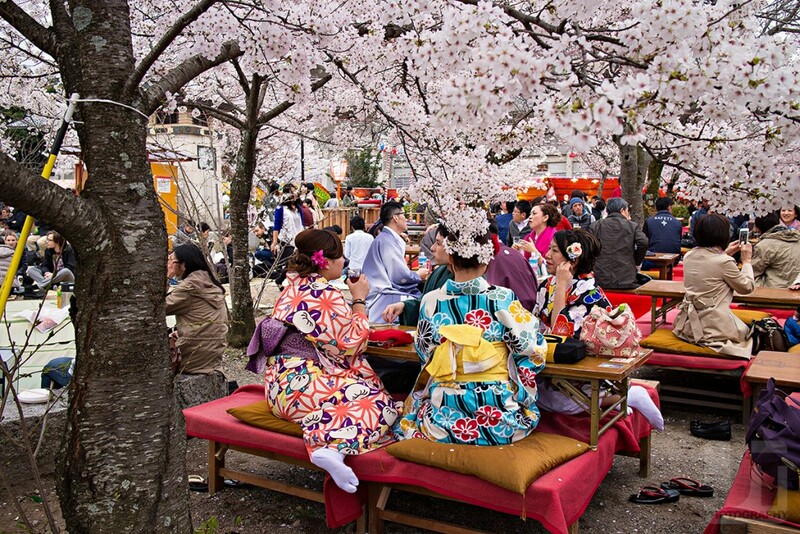 If there’s one thing about Japan, what you learn from one city is transferable to the others. Their system is that efficient. They just come in different names. Of course this is by no means a complete travel guide, but something I decided to write to remember by trip, with some tips. PAL and Cebu Pacific unfortunately have afternoon flights. You’d end up in Kansai around 7-8PM. You would have already lost a day just getting into Japan. A good alternative is taking Cathay Pacific which gets you there by 3PM, but you’d have to leave early from Manila, and go through a 3-hour lay-over in HK. The main airport serving both cities is Kansai International, that man-made island-airport they constructed off the coast. It’s immediately connected to the train station that can take you to either city. This is operated by JR West. As a visitor, you are entitled for a discount (just show your passport) when you purchase a combination of their ICOCA IC card, and a round-trip in the Haruka. The return ticket is redeemable within two (2) weeks of your stay, which is roughly the length of time an entry is allowed on a tourist visa. The last Haruka for Kyoto is 10:16PM, and the trip is about an hour and fifteen minutes. Coincidentally, you can also use the Haruka to end up in Osaka since it makes a brief stop at Tennoji Station. This is run by the Nankai Electric Railway, a private railway company servicing Osaka, Kobe and nearby areas. This usually terminates in the Namba station. As an alternative, you can also use the Kansai Airport Rapid Express, since it leaves the airport in between the timings of Nankai. More details on the Nankai here. Both operators could be found across the concourse when you get out of the airport. An ICOCA IC card is a top-up / prepaid card for use at their trains and subway lines. It’s exactly like a the Octopus in HK. This card is invaluable during your stay since it saves you of having to purchase one-way tickets each time you take a train. Other JR Railway companies operating in Japan have their own version of IC cards, and if applicable, a combined rapid train shuttle. E.g. Narita Express-SUICA IC card for JR East in Tokyo. Since then, most of these cards are cross compatible all over the country. I was able to use my SUICA card in both Osaka and Kyoto. 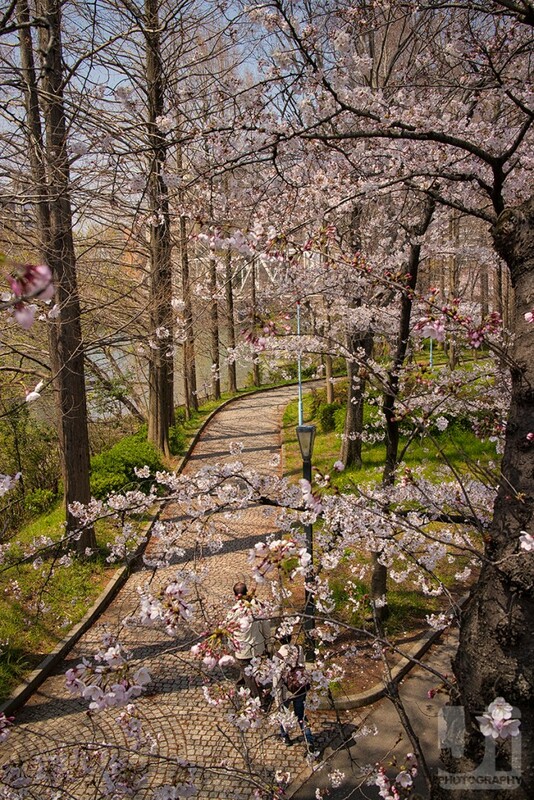 We took the bandwagon route and arrived during the height of the cherry blossom blooms in the country. Unfortunately, this meant higher airfare and hotels, but the experience was worth it. It’s not that often you’d see these trees come into full bloom. Rere / Her place is southwest from the station, and along the train tracks. She provides with the smallest of amenities you could think of from a host. Gacky / A bit more sparse, but handles more guests since the bed is are tatami mats with futons. This is northeast, and bit closer to the station as well as other subway stations going to other parts of Kyoto. 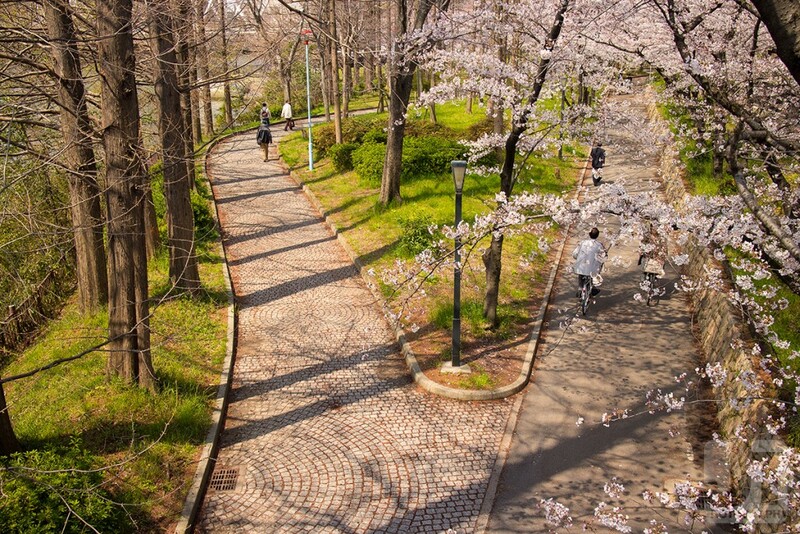 Both are walking distance from Kyoto Station, and near convenience stores and small restaurants. In Osaka, we settled in APA Hotels, a known hotel chain. It was right smack in the middle of two subway lines which got us mobile rather quickly around the city. I suggest booking these places through Booking.com. Traveling between the cities is actually quite convenient. You can take the Keihan line servicing both Osaka and Kyoto. 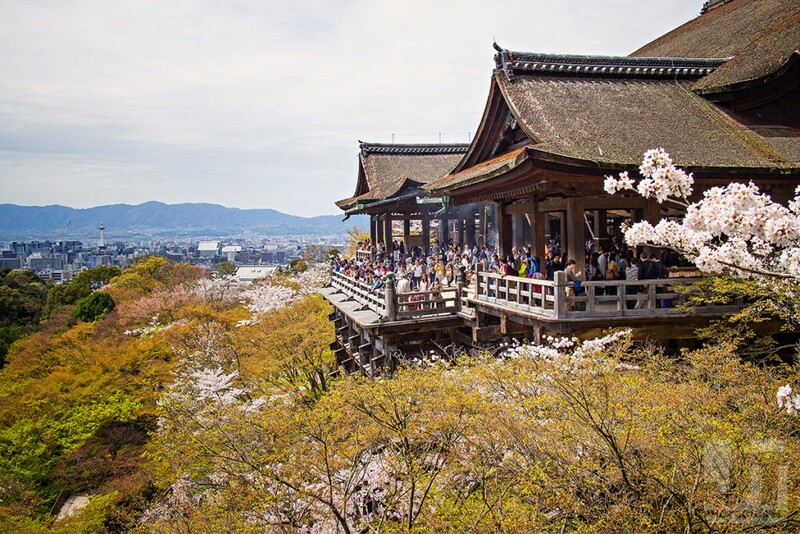 Especially during peak seasons, hotels in Kyoto in particular could get filled up quickly. Osaka can work as a good base, and just do day trips to Kyoto. It takes about 30 minutes via the rapid service trains. As much as Japan is awesome with food, you don’t have to eat every takoyaki on every corner. You would eventually get tired of them if consumed consecutively. I suggest spacing your Japanese snack cravings. 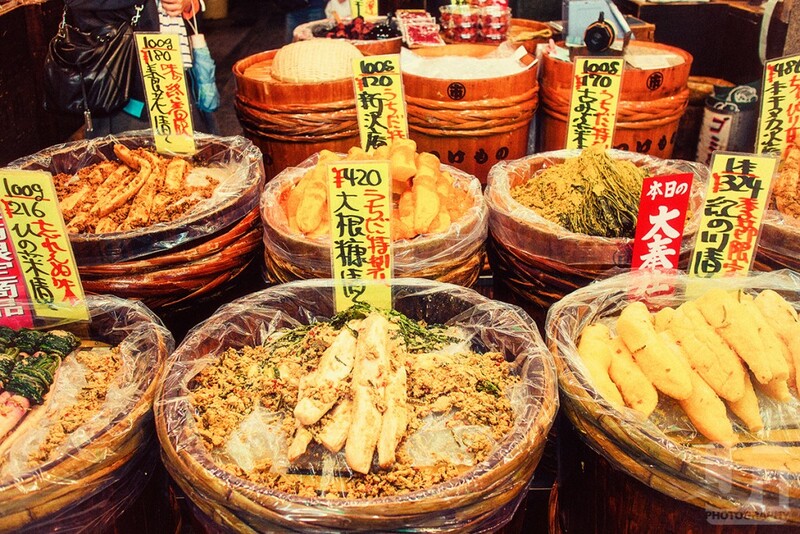 There would be lots of delicacies to enjoy when you walk around the public markets. Make sure to save space for those. What I enjoyed the most though is kaiten sushi (conveyor belt sushi). Ramen and soba stalls are a common sight especially near the stations. These cater mostly to the commuting worker type, but still gives a good meal. Don’t miss the chance eat in one. While riding the train, we impulsively hopped off Sakuranomiya Station to get our first glimpse of cherry blossoms up close. It was almost lunch and you could see couples, people sitting underneath the trees with their bento boxes. It was such an authentic quaint experience. Our main stop of the day was Osaka Castle, which was quite a walk from the station where we hopped off. Whether you take the northern or southern gates, the distance would almost be the same. 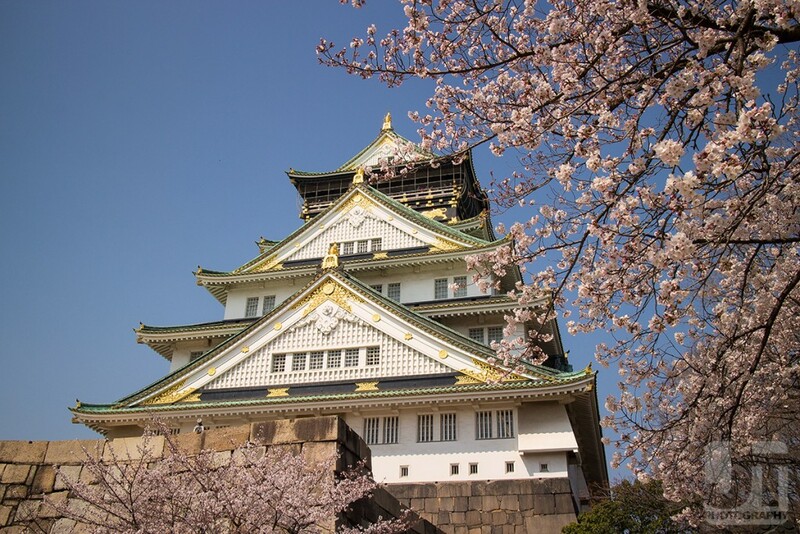 Much of it authenticity of Osaka Castle was only kept on the outside. The entire castle has been gutted out and modernized to fit in a museum, gift shop and costume rental. We didn’t really stay for long and made a quick pass the exhibits. There was also an old audio-visual presentation on every floor, but it was all in Japanese. Noticeably, there are no high rise buildings in Kyoto. This city was meant to preserve the cultural heritage of Japan. The only high-rising places you’d get to see are temples and shrines with the exception of Kyoto Tower. Funny enough, when you enter Kyoto Tower from the ground floor, it gives off that aura of the old Greenhills Shopping Center back in the 80s. Enjoy the parks. Sure there are the usual tourist attractions (that get rather tourist-trappy for the obvious reasons), but I highly suggest hanging out where the locals do. On the way to Yasaka Shrine, we decided to sit down at Maruyama Park. 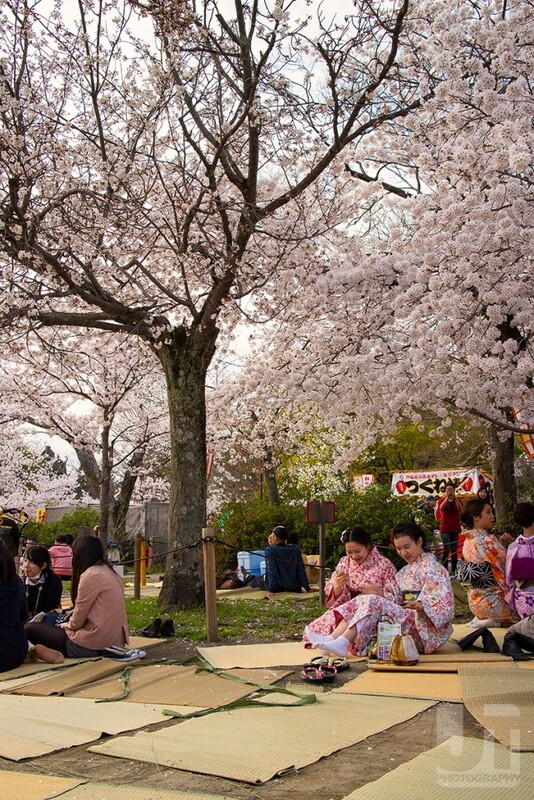 Spread around the park are tatami mats for public use, and you could buy bento box food in stalls peppered around the place. One of the open-air seating areas in the park. Kyoto is a walking city. The subway of course is convenient, but going around could be done on foot, and certainly burns the calories off from the food you would end up gorging along the way. The weather was also conducive during this time; we didn’t break a sweat after walking about 3-5kms back to our AirBnB apartment. The Japanese have respect for public spaces. They take off their shoes when stepping on the tatami, and pick up after themselves. If our society only had a fraction of their collective social discipline, we’d see some progress in ours. Everything is packaged so neatly and nice, it appeals to the impulsive buyer in you. If you can’t control your retail therapy sessions, you might just end up buying every knick-knack on each corner because they look cute. I’m such a sucker for Japanesey accessories since I use them for shoots. 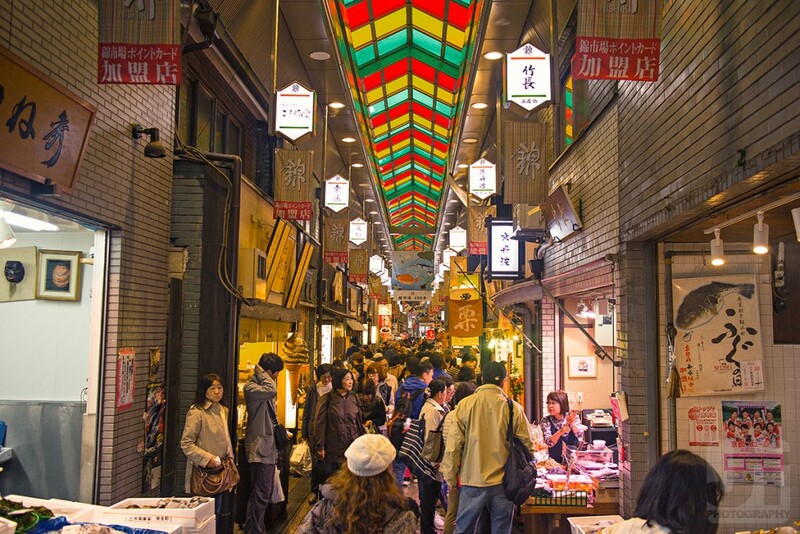 Nishiki Market has lots of local delicacies you’d enjoy snacking along the way. It’s best to just buy small morsels and taste every bit, rather than just filling yourself from one stall. Lots of things to find here ranging from green smoothies to pastries. Shots from Kiyomuzi Dera. This is place never runs out of people because of the scenic view of Kyoto from the mountain side. There lots of eateries and small restaurants along the way. I certainly don’t mind going back here. There are lots more places to explore, and we’ve only scratched the surface.